Christoffer Carlsson is a Nordic crime writer best known for his crime series starring ex-cop Leo Junker. 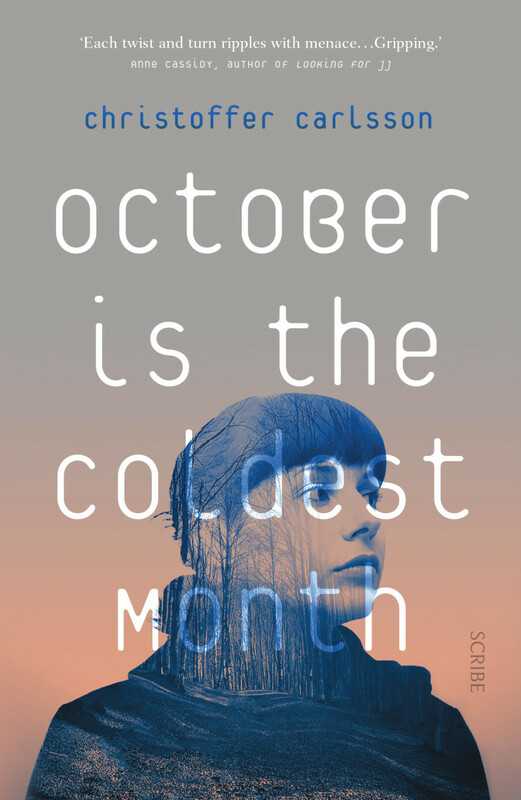 October is the Coldest Month is ostensibly his first Young Adult novel and has won a Swedish crime award for writing for young readers. But parents beware, when the Swedish Crime Writing Academy says “young readers” they are skewing well towards the more adult end of the young adult spectrum. That said, there are good reasons why this novel may have picked up that award. Vega Gillberg, the sixteen year-old narrator of October is the Coldest Month, is woken by a policeman looking for her brother Jacob. She does not know where Jacob he is but knows that he is in trouble and has an inkling why. That inkling drives her to go looking for her brother and to try and solve a mystery that no one wants solved. In the best tradition of noir detectives, Vega is not content with being kept in the dark and keeps pushing at people and pulling at loose ends of their stories until the truth emerges. October is the Coldest Month is a coming of age story of sorts. Vega deals with the depths of the adult world while also dealing with her own burgeoning feelings and sexuality. There is an almost self-destructive edge of desperation in Vega’s actions – skipping school, walking in the freezing rain, not eating – but also a deep survival instinct. And there is plenty here that is fairly explicit, in terms of Vega’s own sexual behaviour and the things that she witnesses or hears about and also her own and others drinking and violence. All of which is completely fitting for this story, but often not particularly suitable for under 15s. Vega herself is a desperate, resourceful, unstoppable protagonist narrator who is both mixed up in criminal behaviour and trying to sort things out. And Carlsson has delivered a well plotted mystery for her to be caught up in with a couple of gasp-worthy twists. October is the Coldest Month is practically a novella. But Carlsson manages to infuse the short run of this book with a real sense of place and character. Whether or not this should be marketed as YA is debatable, but either way it is a great Scandi-crime novel that almost demands to be read in a single sitting.